In 1655 a Russian army plundered and burned the town of Trakai and the castles were destroyed and never rebuilt. The restoration of the Island Castle its 15th century appearance started in 1953. The Central Palace was rebuilt in 1962, and in 1987 the restoration was completed. Since 1962, the Island Castle has been a museum. 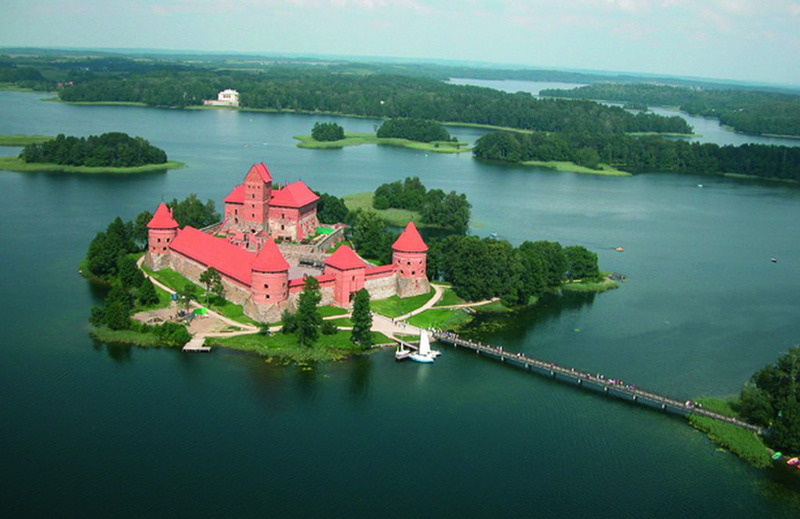 The Trakai Peninsular Castle was built by the Grand Duke of Lithuania, Kęstutis (1342-1383), and while the building works were still continuing, the construction of the Trakai Island Castle on one of the largest isles of Lake Galvė began. 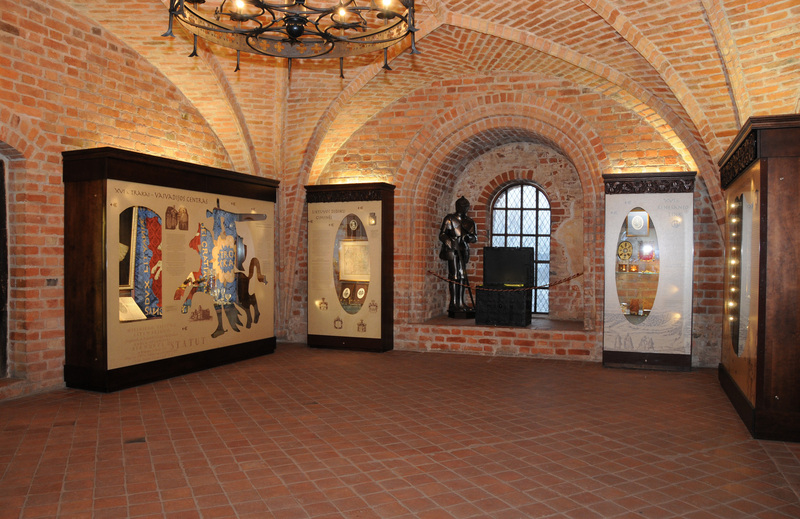 The complex was probably finished in the early 15th century by Kęstutis son, Grand Duke Vytautas (1392-1430). After the Teutonic Order was defeated at the Battle of Žalgiris (Grunewald) in 1410, the Island Castle became the residence of the Grand Duke of Lithuania, but in the 16th century the castle lost its military function. 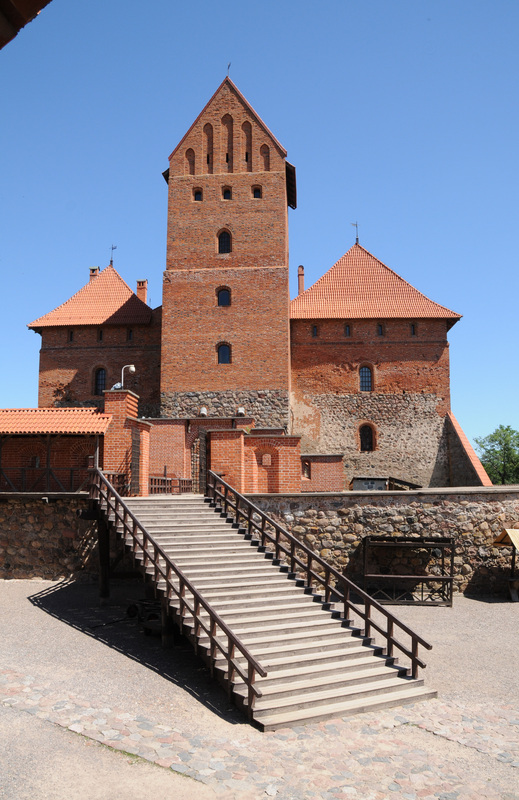 The Grand Duke moved to Vilnius and the Island Castle became a prison for the nobility.